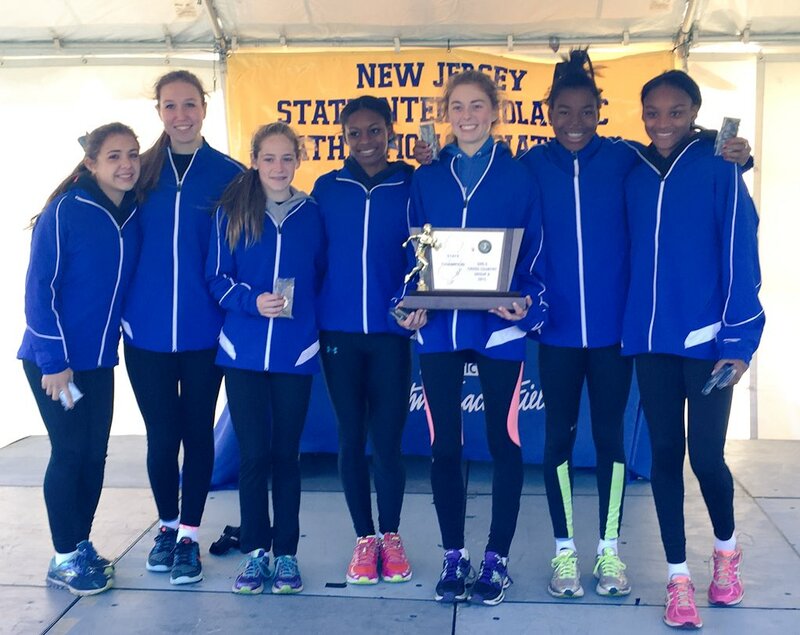 The Union Catholic Girls Cross Country Team made history today by winning the Non Public “A” State Championship Meet! This is the first cross country State Championship in School History! The team won by a score of 56-76. Scoring 4 runners in the top 11 places. The Lady Vikings scorers were Amari Onque-Shabazz (2nd), Jerika Lufrano (5th), Tressa Novack (8th), Asia Johnson (11th) and Megan McCabe (30th). Use lots A and D. Shuttle busses will pick you up on the inside the lots on the road that circles the lots. This is the same procedure used last year. NOTE: Spectators will be asked to pay a $1.00 bus fee to help defray the cost of the shuttle busses. This fee will be collected at the Vonage parking lot only. Next story UC Girls Place 5th at XC Meet of Champions!